Frances Burke was born in Melbourne into a family who was involved in the textile industry. She studied at Melbourne Technical College now known as RMIT, National Gallery School and George Bell’s school of painting. Her training at Melbourne Technical Collage with Michael O’Connell greatly influenced and nurtured her passion for fabric printing. Today she is a well known textile designer that has made a name for herself not only in Australia but also internationally. Originally working as a nurse Burke didn’t pursue her true passion of art and design until the death of the mother in 1932, in which she received her family’s inheritance. 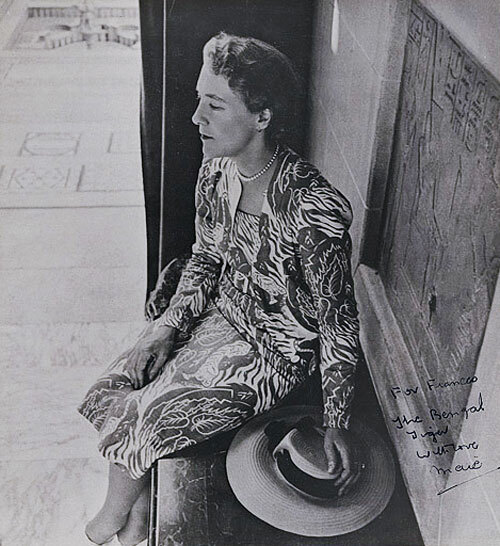 Photograph by Cecil Beaton of Maie Casey wearing a commissioned textile design “Bengal Tiger” by her lifelong friend Frances Burke, 1944. In the 1930’s Nautical inspired patterns started to become popular within the textile industry. Bourke’s patterns were inspired by Australia’s beautiful environment and flourished with this upcoming trend. She designed some of her first patterns after viewing art at the Museum of Victoria by Margaret Preston. 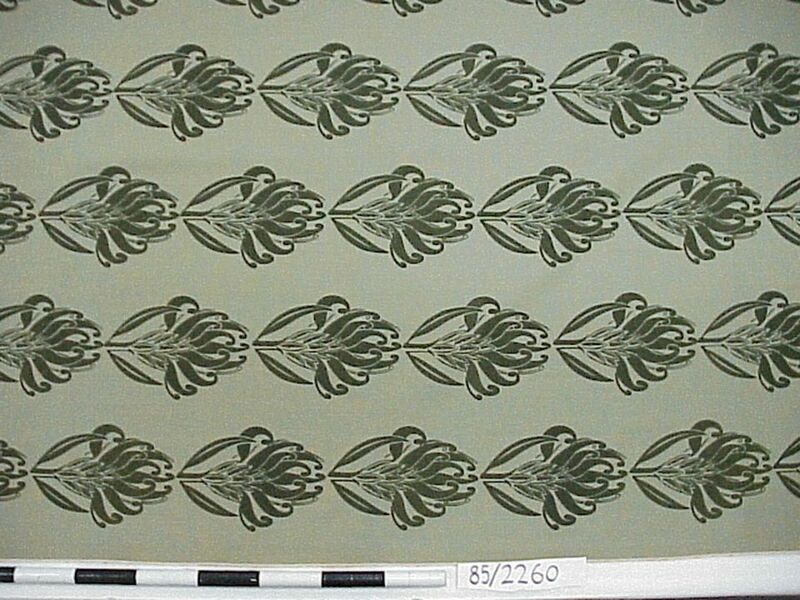 These earthy and sea inspired patterns lead to her popularity in 1937 when she established Burway Prints with her fellow Technical College graduate Morris Holloway. Burway Prints originally screen printed Bourke’s minimalist designs on linen and was one of Australia’s oldest registered screen printeries. 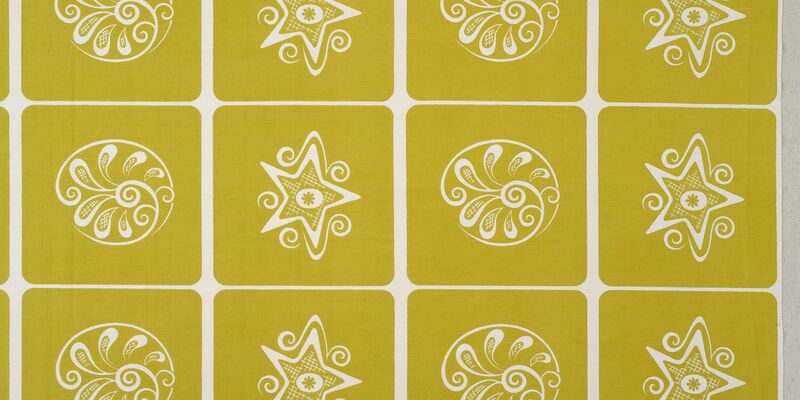 In the 1940’s Burway Prints switched from printing on linen to Japanese and Indian cotton. 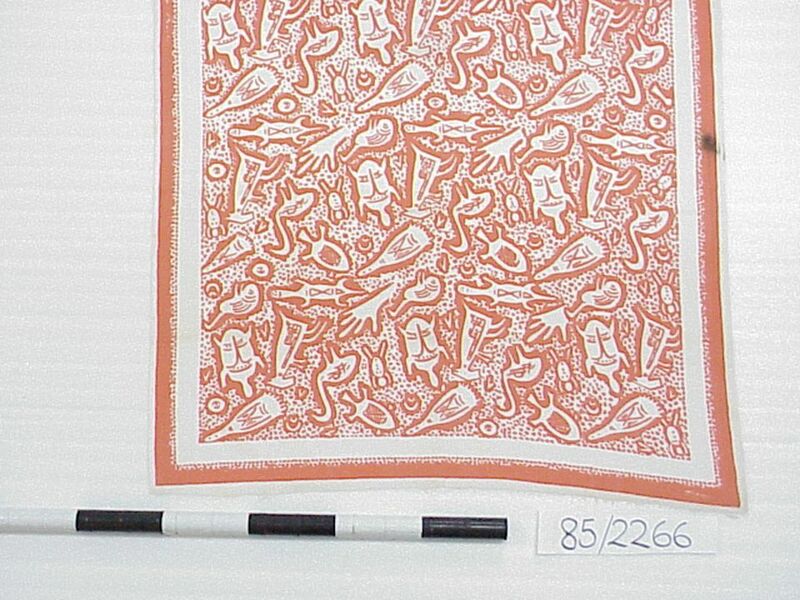 The 1940’s saw Burkes Aboriginal inspired prints gain popularity along with previously used earthy tones. The creation of Burway Prints was encouraged by Pierre Fornari the fashion director of Georges department store. Burke had her own clothes made at the department store and they were looking for new and fresh prints due to the lack of supply and variety from local suppliers. She saw a gap in the market for simple patterns that represented Australia’s natural beauty. Her career really took off in World War Two due to the limited supply of imported fabrics from Europe. Australians financially were burdened by the war and were in need of an affordable option to imported textiles. Architects began to commission work from her such as Roy Grounds, Guilford Bell, Robin Boyd and Richard Haughton. This lead to her commission of designs for commercial buildings such as Government House, Civic Theatre, State Library of Victoria and six different hospitals in Melbourne. In 1948 Burke continue her career through the establishment of the Good Design Shop, later changing the name to New Design. She sold her textiles as well as modern furniture and homewares from Australian designers such as Grant Featherston and Clement Meadmore. Up until 1967 various stores where successfully trading in Australia. After this time when the war finished Burke began frequent travel to the United States, United Kingdom, Europe, Japan and Taiwan. Whilst travelling she learnt about new and different design trends from around the world and brought her knowledge back to share with Australia. Burkes bright and minimalist textile patterns have made a name for not only Australian designers but female designers. Her career really took off in a time of male dominated industries and she has successfully asserted herself among the best textile designers of her time. Bourke became a great advocate for the design industry in Australia. She was heavily invested in associations such as The Contemporary Art Society (1938), The Society of Industrial Designers (1947), council member of The Museum of Modern Art and Design of Australia (1958-1966) and president of The Arts and Crafts Society of Victoria (1968-1971).